[...] out with her daughter Coo-Coo, and looking at her wits' end. "I just don't know what I'm going to do with Coo-Coo here, I'm so busy I'm asking the cat for help, and she demands that I take her to some silly international jazz festival. Well, I can't let an après girl like this go on her own, or who knows what she'd get up to? —so we were just on our way there, but here you are and obviously you have time on your hands. Come, come, you're always just wandering about anyway. Why don't you take this jazz-girl here to the festival instead of me? Honestly, she's such a scatterbrain I don't know what's to become of her. Very well, I leave it all in your hands, and don't forget, for all her faults she's my only daughter, my precious little jewel if you like, so don't be too unkind to her. Thank you so much! Ah, my, what a relief." So, first, the girl's nickname, which I have rendered "Coo-Coo." The original Japanese is ポッポちゃん, Poppo-chan. -Chan is of course the affectionate-dimunitive version of -san, and poppo is the noise that pigeons and doves make. A couple of paragraphs later, Poppo-chan explains that "they call me Coo-Coo because my eyes are cute as a dove's, so I'm going to use 'Coo-Coo Dove' [Hato Poppo] as my stage name [when I'm a famous jazz singer]." It might be worth noting that a radio drama called Poppo-chan , about a young girl whose real name was "Hatoko" (remember, hato = "dove"), ran from 1954-1958, i.e. starting a year or two after this essay was published. I suppose calling girls "Coo-Coo" was in the air. Second, dig the word apure musume アプレ娘, "après girl." The après is, as you might have guessed, from après-guerre. This is what they called frivolous teenagers in postwar Japan before the word "teenager" was imported. I have heard that apure was originally applied to the immediate postwar literary movement, but can't ever recall seeing this usage myself. Yukimura again, singing "Alice in Wonderland"
No Bimbo Dinau, though. He seems to have vanished entirely. That or Ono got his name wrong. Found! "You are always in my heart", by Bimbo Danao. Thanks Crusoe! Today we continue our ongoing journey into KANAGAKI Robun and UTAGAWA Yoshitora's Illustrated guide for children to the nations of the world . Specifically, these two pages at the beginning of the section on England: 1, 2. We are very amused. 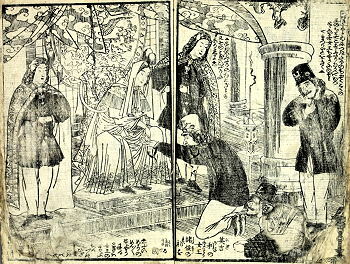 Note that the illustration on the second page shows a polyandrous Queen Victoria flanked by her vassal-prince mates, as described in the text, "receiving tribute from the nobility" (英吉利の女王諸候の礼を請る図). Special nerdy notes: The "Calais" in the text is either からいす /karaisu/ or おらいす /oraisu/; I figure the former because Calais has been spelt that way in the past in Japanese, and it's in the right general area at least. I'm also not 100% positive that it's the mountain that's supposed to be named Calais, and not the treacherous sea or even possibly the southern part of England itself. By popular demand (1 being greater than 0), I bring you more countries from Kanagaki and Utagawa's Illustrated guide for children to the nations of the world . This country is a great island nation in the sea off the west of Europe. After a restoration, in the reign of Queen Anna its territory expanded greatly to include Scotia and Ireland, and it became known as Great Brittania. Its capital is London, over the Thames River, and its land is divided into fifty-two counties. This country is a great nation next to Holland and England. Its capital is called Paris and is on the banks of the Seine River. In ancient times it was ruled by the Bourbon family, but that royal house collapsed and the country briefly became a republic before changing again, into an imperial nation. Napoleon gained independence and was called the one-generation emperor, but was then defeated by an alliance of nations and now the country is a monarchy. "Nations of Europe" was a much more interesting topic in those days. They're all just liberal democracies these days, and I don't think many kids are interested in the extents to which and reasons why the various socialist movements of each country have been able to influence policy. This country was originally a European colony and its climate is largely the same as ours. Its capital is called Washington. It sends ships from its port California out to visit countries all over the world, and makes much of the way of commerce, so that it is said to have made its fortune by trading. The people of this country have a marvelous ingenuity, a taste for trading, an understanding of astronomy and geography, and a mastery of the natural sciences. They collect rare and unusual objects, and trade them to other countries for the greatest profit possible. Note that to the left of the Hollander there is a picture of a man from Nanking (大清國南京人). Turns out the world has a few Asian nations as well. Next up, on Thursday, by additional popular request: an excerpt from the main body on the saucy and scandalous political structure of Victorian Great Britannia! This country sprawls between Europe and Asia, and the surpassing wisdom and morality of Peter (伯徳ろ) and great emperor and architect of restoration Alexander (アレキ), great founding emperor of central Europe [?] saw the country's domains expand and the imperial system retained. 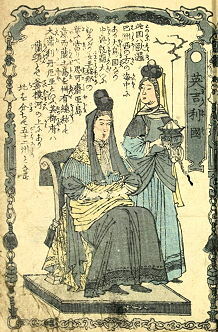 After the collapse of the emperor, his wife Catherine (加太里那) succeeded to the position of empress and took the reins of government, bringing, it is said, still further expansion to the country. Second, I'm not at all sure what 中奥の太祖帝 — literally "great founding emperor of the central interior [or throne room]" — is supposed to mean. I have three guesses: (1) Something to do with the Russian imperial system, about which I am clueless; (2) A write-o for 中欧, "central Europe," maybe referring to Alexander I's dukedoms in Finland and Poland; (3) A wildly anachronous reference to the other Alexander, a "great founding emperor" if ever there was one, inspired by the similarities in names. I went with (2) in the translation because it was easiest to write. Second-and-a-half, I don't know why 伯徳ろ is written like that, with just the ろ on the outside. Perhaps it isn't actually a ろ. It's late and I'm very tired. Third, the repeated use of 開く here is interesting. I have translated it as "expand" but it could also conceivably mean "develop," and I strongly suspect it had a special meaning as late-Edo political jargon. Unfortunately, I don't know what that might be off the top of my head. 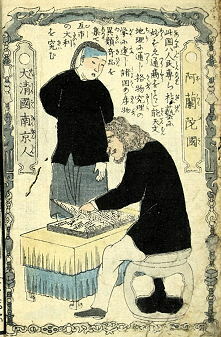 When writers in the Sino- Buddhistic tradition want to say "everywhere and everywhen," they often use the phrase "六道四生" (rokudō shishō in Japanese). This literally means "six ways [and] four births." The "six ways," also known "realms" or "domains," consist of one "way" each for celestials, humans, ashura, animals, and "hungry ghosts" (餓鬼), plus hell to round things out. Note that these aren't realms in the sense of physical places. After all, humans and animals share the same physical realm, and Trent Reznor released several albums in the 1990s despite being in hell. Me, I like to think of the six ways as a spiritual version of Uexküll's umwelten. In Japan, keshō has since expanded in meaning to also include "appearance of a supernatural being in the mundane world, or the form so assumed." The phenomena so described might be good or evil — although in the absence of context, always bet on evil — and there's also a metaphorical application, to bewitching women (化生のもの, keshō no mono). In answer to your first question, yes, that is me in the video playing in Noh Hamlet . I've been the shakuhachi player in all the Noh Hamlet s that have had shakuhachi since 2001. Ueda-sensei has a very deep interest in the shakuhachi, especially honkyoku. The first shakuhachi player to play in Noh Hamlet was Akikazu Nakamura who I believe played in just one performance at an outdoor Noh theater in Shizuoka Prefecture sometime before 1994. There's a video tape of this performance somewhere, and the shakuhachi playing was magical. As for Ueda-Sensei's input on the music, he told me at what points in the play that he wanted music, and what kind of feeling the music should express. His decision to use shakuhachi in Noh plays came directly from Kan'ami and Zeami. It is known that they used shakuhachi in Noh plays, though the shakuhachi then most likely was a very different kind than what we use today. After Ueda-sensei told me about this, I began investigate what I could and found further evidence of this fact in the book On the Art of No Drama translated by J. Thomas Rimer and Yamazaki Masakazu. 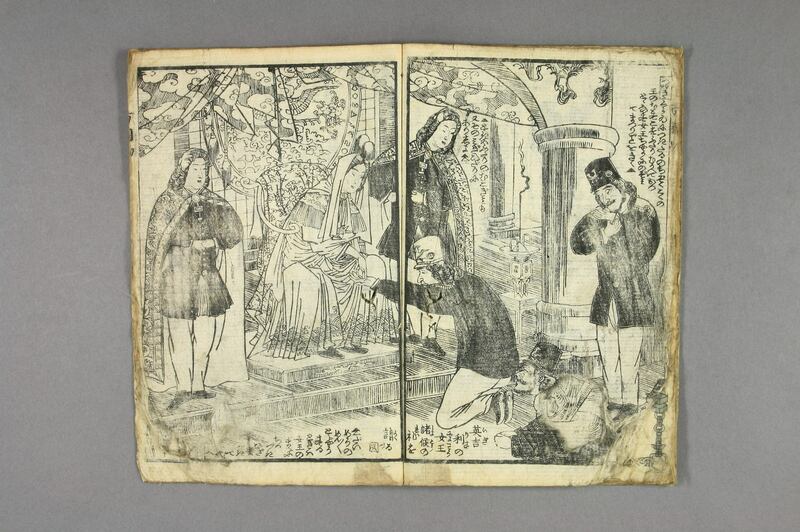 In this book, it's written that there was actually a noh play by Kan'ami or Zeami entitled Shakuhachi . Given the Buddhist/Shinto Spiritual roots of Noh theater, that the founders were from Kansai, and the the Myoan Ryu shakuhachi temple is also in the same area, I think that Kan'ami must have been aware of the sound of the Myōan temple shakuhachi tunes. I have no idea if that was the kind of music he used for the plays. As for the exact pieces for Noh Hamlet , well, Ueda-Sensei left that up to me. I studied Hamlet quite a bit and knew the story very well. We also spent a lot time over meals discussing various elements of the play and what we though the characters were thinking, and we rehearsed the morning of the performance. A few months later Ueda Sensei invited me to play again. This time it was for Noh Hamlet at the All-Japan Shakespeare Conference held at Meisei University in Tokyo on 5/15/02. I played "Chōshi" in the Jin Nyodō style and "Kyorei" in the Myōan style for the first time in Noh Hamlet . And again a few months after that I performed in Noh Hamlet at a large cultural center in Tokorozawa. This was another free performance for Japanese students. There were several thousand people in attendance, perhaps the largest group I've ever played to. That day I played "Chōshi" and "Daiwagaku" in the Jin Nyodō style, and Myōan's "Kyorei". The third time's a charm. In almost every Noh play containing shakuhachi since then Myōan's "Kyorei" and Jin Nyodō's "Daiwagaku" have been performed. It seems to be the best combination for the scenes with shakuhachi, or the one with which I currently feel most comfortable. When Hamlet sits meditating in Zazen I usually play "Kyorei". That's the scene where the ghost of Ophelia appears and blesses/forgives Hamlet. Ueda sensei feels that honkyoku tunes match perfectly with Noh Hamlet, and I couldn't agree more. I usually play the Myōan Kyorei only in the lower register. The piece does contain parts in both octaves, but for Noh Hamlet because of time, and more because of how the lower register matches the meditation scene, I stay in the lower register. I have been the shakuhachi player in Noh Hamlet a total of 12 times. We even used shakuahachi in a rendition of Noh Othello once in 2003. At times, I've brought up to two shakuhachi on stage at once. This I learned from Akikazu Nakamura as he had at least two on stage when he played in Noh Hamlet , and that is the only other time that I'm aware shakuhachi has ever been used in a modern Noh play. I generally brought a combination of 1.6, 1.8, 2.0 and I think even a 2.4 (that I borrowed). Most of the time I now use a 2.0 and bring just one flute on stage. 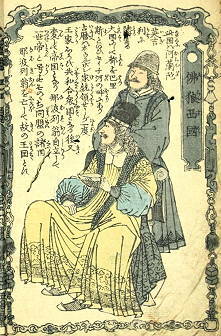 Interestingly shakuhachi was used in the the first English Noh play ever sanctioned by the Kanze school. It was my great honor and privilege to perform "Chōshi" in Jin Nyodo style and Myōan "Kyorei" in that production of Noh Hamlet on 10/15/06 in Miyakojima City in Okinawa. I played a standard 1.8 shakuhachi that day as requested by the Kanze school director. To date this remains one of the major highlights of my shakuhachi playing life. Also, when the world premiere of Noh Hamle t in Japanese was played in Tokyo using professional Kanze school actors and musicians a shakuhachi was not used since you'd never really find it in use in a Kanze school production. That day, the normal nohkan flute (or maybe a longer one) was used by the Kanze school performer. As I had always been asked to choose the shakuhachi music for the English version of Noh Hamlet , I was very curious to hear what music the Kanze school performer would select. While I'm not exactly sure what piece he played, it sounded very much like "Kyorei" on the nohkan! Here's today's crazy shakuhachi origin theory: in short, that they are imitation monkey bones. This is reportedly from TOYOHARA Muneaki 豊原統秋's 16th-century encyclopedia of Japanese music, the Taigen shō 體源抄, although my translation below is based on the transcription in SAITŌ Eisaburō 斎藤栄三郎's Shakuhachi: Sankyoku no sekai 尺八：三曲の世界 ("Shakuhachi: the world of sankyoku"). 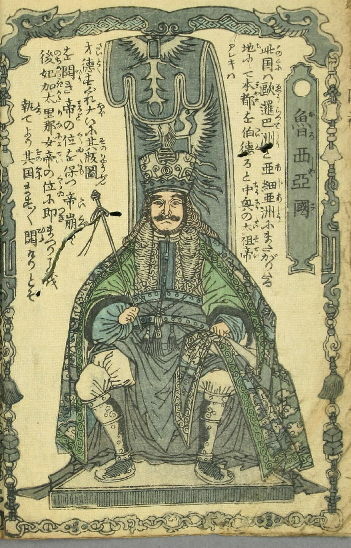 Incidentally, this is the Saitō Eisaburō, author of "The Secret of Jewish Power that Moves the World" (世界を動かすユダヤパワーの秘密). It is written in one source that long ago the shakuhachi was an imitation of the marvelous sounds of the monkey's cries in the west of China. At that time, the monkeys in the mountains there had such miraculous voices that those who hear them are not only moved to tears but also find themselves with new resolve to stay on the path of righteousness. The prince left his palace to retire to a mountain temple, and all the administrators in the surrounding villages went with him, until finally hundreds of people, from monks to merchants, had awoken to the principle of impermanency in this way. Finally the emperor, thinking that this was no way to run a country, sent his soldiers out to kill the monkeys and put a stop to it all. The results were pitiful beyond imagining. Dozens of those who had entered into the way of righteousness after hearing the cries of the monkeys now mourned and lamented the passing of their teachers, and among them was one whose grief was so deep that it did not abate though the years and months passed, and eventually he began to dig in the earth, wanting to at least see the bones of the fallen monkeys. He found an arm. It was hollow, and when he held it to the wind and listened, it sounded like the call of the monkey itself. Struck by the pitifulness of this, he took it home with him, and one day remembered he had it, put it to his mouth, and blew into it so that it would sound. Later, a certain musician tried cutting bamboo to that length and blowing into it, but the sound was not the same. 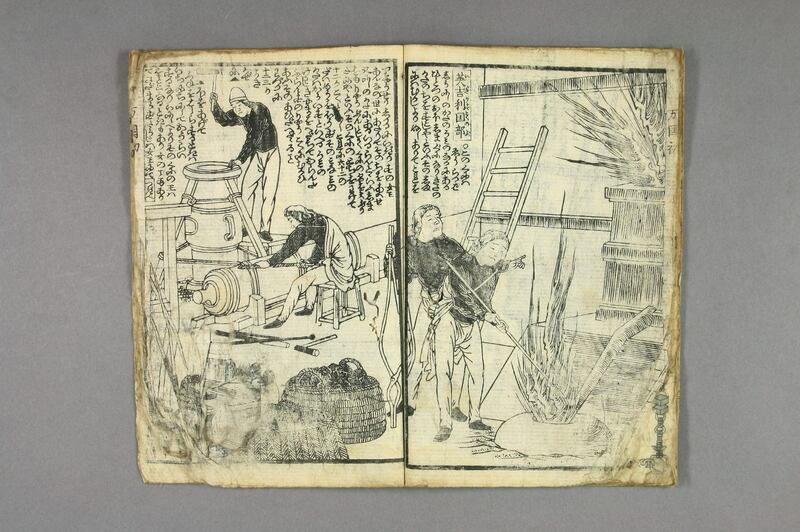 However, when he bore one hole in the bamboo and tried again, it began to sound slightly similar. As he bored hole after hole, the aural similarity grew, until finally the bamboo had four holes in the front and one in the back, and sounded exactly the same. The original bone having been one shaku eight sun long, the instrument was given the shortened name shakuhachi [literally "(one) shaku, eight (sun)"]. This is a great story, but let me note for future Googlers that the only part of it that is true is the etymology of the word shakuhachi. Another object lesson from the early modern Translation Wars: Japanese plays (versified) (love the parentheses there), published 1890 and credited to "the late Thomas Russell Hillier McClatchie, interpreter, H.B.M. 's Consular Service, Japan; edited by his brother, Ernest S. McClatchie (author of 'False Plumage,' 'Stefan Melikof,' &c.)." Oh, those McClatchie brothers. "This book," Ernest McClatchie explains in the preface to the new edition, "was originally published at Yokohama eleven years ago, and—taking into consideration its success out there—it has been thought fit to bring out a New Edition, in the hope of the rhymes being found of some interest to readers in England, who may desire to become better acquainted with the style and character of play-acting in the Far East." On the other hand, the preface to the first edition disclaims the whole collection as mere "efforts to sketch, in a cursory manner, the general outline of the plots of these drama," which despite the repetition of the "style and character" thing in the next sentence raises serious questions about the extent to which readers in England would become even slightly better acquainted with the style or character of Far Eastern play-acting. A Japanese play, as a rule, lasts for many hours, and it is questionable whether it would, if literally and fully translated, possess any interest for the foreign reader. The plan here followed has been to select one personage as the hero or heroine, and to give an outline of those scenes only in which that particular personage appears; for this reason several of these rhymes are termed 'Fragments'. 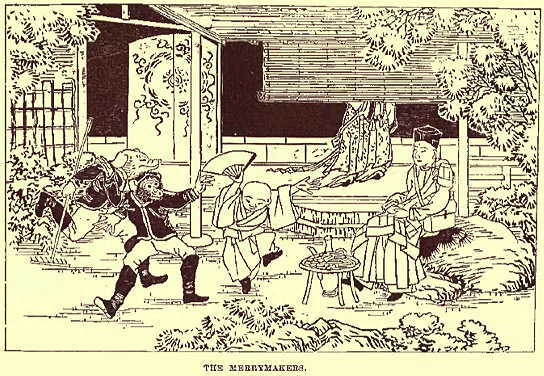 A Japanese audience, though certainly sympathetic, differs considerably from a foreign one: the spectators here are by no means averse to showing their amusement when an unfortunate woman is murdered by mistake, but are easily moved to tears when the murderer finally commits suicide after a long speech garnished with grandiloquent allusions to the spirit of 'loyalty' that caused him to perpetrate the outrage in the first instance. Thus, in endeavouring to versify these plays, no style has appeared so apt as that of the "Ingoldsby Legends," that delightful mixture of pathos and bathos, of true poetic expression and of jingling rhyme. This idea has been kept in view throughout. That they never yet saw such a jolly old pair! And it just goes on like this. Characters are spared no indignity if a rhyme is at stake. When the forty-seven ronin see their daimyō forced to commit hara-kiri, their principal response is to "growl like the deuce", so that the next line can end with "use." A robber "settle[s] Yochibei's 'hash'" on the road solely to rhyme with "flash." "Munditiis," Horace would tell us, "simplex"! As a term that parfaitement exprime la douleur). 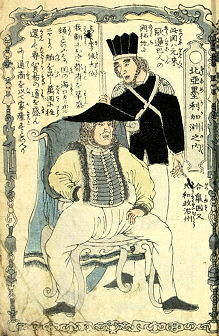 McClatchie's work clearly bears some resemblance to Shōyō's jōruri Julius : free adaptation into a form both wildly different from the original and highly specific to the target culture. The obvious difference is tone: McClatchie is jovial, Shōyō deadly serious. Of course, light verse does not lend itself to solemnity, nor jōruri to slapstick, so perhaps it would be better to identify the main difference as intention. Although both translations are framed as attempts to make the source material accessible outside the original language, McClatchie strives first and foremost (and perhaps a little too hard) to entertain his readers — who, after all, he expects to be seeking only "some slight acquaintance" with the original. Shōyō, on the other hand, wanted to improve his readers, and indeed their entire culture. To judge from his own statements, his injection of Julius Caesar into the jōruri form was not caprice, but rather an earnest attempt to hybridize Shakespeare with traditional Japanese theater to create a new art combining the strengths of both. This is the Meiji Japan-Contemporary Europe relationship in a nutshell.